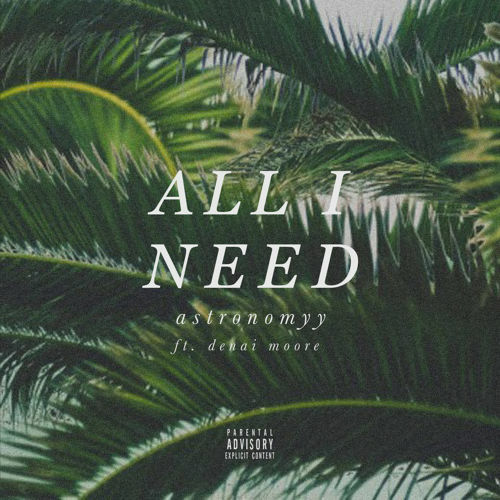 For those who attended Astronomyy‘s headline gig in London last year, you would have already noticed a blooming relationship between the man himself and young starlet Denai Moore. So today it wasn’t a massive surprise to see that the two have combined on a brand new track called “All I Need“. The big surprise came when we heard the track itself, which is heavily piano driven and a definite departure from the usual sound we are accustomed to. A wise move from a self-producer who shouldn’t feel hemmed in by the sound that cultivated his ‘early career’. More of this would do nicely.